CITGO’s TriCLEAN detergent additive is designed to help keep your engine performance at its peak by keeping your fuel injectors and intake valves clean. This helps avoid power loss, poor drivability, and increased emissions. All grades of TriCLEAN gasoline meet and exceed the Environmental Protection Agency’s (EPA) requirements. You can earn 5 cents off per gallon on gasoline purchases with a Citgo Rewards Card. There are no minimum or maximum purchase requirements, and it’s accepted at nearly 6,000 locations in 27 states throughout the country. A Citgo Gift Card works like cash, but with the convenience of a card. You can use it to pay for gas at the pump, or in-store purchases of convenience items. There is no dormancy fee or expiration date, and they’re rechargeable. 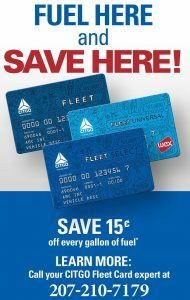 The suite of Citgo Fleet Cards is ideal for any size fleet of vehicles. Whether you run a multi-state fleet of vehicles, or you’re a local company with several vans or trucks, there’s a fleet card for you. 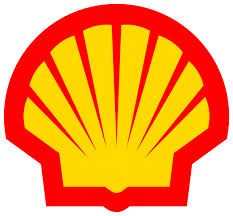 Shell gasoline contains the patented Nitrogen Enriched Cleaning System. 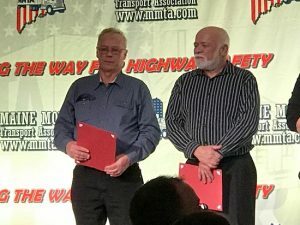 It’s been extensively testing in a variety of vehicles, for over half a million miles. The special formula cleans performance-robbing gunk from fuel injectors and intake valves, and acts as a protective barrier to prevent future build up. It’s certified as a TOP TIER Detergent Gasoline, exceeding the requirements of the world’s top automakers. As part of the Fuel Rewards Network, the Shell Fuel Rewards program offers FRN Members Fuel Rewards savings on specially-marked convenience store products, car washes, and auto services at participating Shell stations, as well as 3 cents off per gallon at Big Apple Shell stations. There are many special occasions to give the gift of a Shell Gift Card. A customizable card with your favorite photo or a special message will remind the recipient of your thoughtful gift with each use. The reloadable card is a gift that keeps on giving. For spending control and management, consider the Shell Refillable Card. You can load up to $300 instantly online with you Visa, MasterCard, or Diner’s Club credit card. The cardholder has the ability to check balances and access funds instantly. This payment option is linked to your checking account, and has no enrollment fees, annual fees, or finance fees. With the Shell Saver Card offers a savings of 2 cents per gallon on gasoline or diesel fuel at any Shell location. The savings is automatically deducted from your checking account, and reflected on your statement. You can also use your Shell Saver Card for the purchase of goods and services. With a Drive for Five Card, you can earn 5 cents off per gallon of gasoline or diesel fuel when you purchase between 45 and 100 gallons per month. You also have the convenience of pay at the pump, and online account management. The Shell Platinum MasterCard can be used for everyday expenses, as well as fuel purchases. If you make $500 in qualifying purchases in a billing cycle, you will be eligible for 10 cents off per gallon of fuel, up to 100 gallons. There are a variety of Shell Fleet Cards to match your business fueling needs. Accepted at over 14,000 Shell stations and participating Jiffy lube locations, accessing fuel and maintenance is easy anywhere in the nation. You can manage your fuel program efficiently, controlling expenses, and saving money, with the Shell Fleet Cards. Gulf gasoline uses an ethanol blend to keep critical engine parts clean, and at optimal performance. Ethanol is made by fermenting biomass materials, such as corn and sorghum, turning them into an alcohol. A 10% ethanol, 90% gasoline blend is used to create the “E-10 Unleaded” product. Ethanol-fueled vehicles produce lower greenhouse gas emissions, helping to protect the environment. Gulf Cash Cards are available in any denomination from $5 to $250. They make a great gift for any occasion, and can be used for fuel, vehicle services, and even convenience store items, at any Gulf location. With the Gulf MasterCard, you can earn free gas just for using the card. Earn 3% back in rebates on Gulf fuel, and 1% back on all other purchases. After accumulating $20 in rebates, your statement will be credited $20 automatically. The GulfCard offers payment convenience with no annual fee. Honored at all Gulf stations, it can be used for gasoline, repairs, and in-store merchandise at any Gulf station. Offering pay-at-the-pump and $0 fraud liability, the GulfCard also allows multiple users on one account with the ability to track individual spending habits. Enhanced reporting, security, cost control, savings, and operating efficiency. These are just some of the advantages of the Citgo Fleet Card. You can gain control over your fleet and drivers, and save money on administrative costs at the same time, while virtually eliminating unauthorized fueling. Irving is the first oil company to receive the U.S. Environmental Protection Agency’s Clean Air Excellence Award for removing 90% of the sulfur from their gasoline. Irving Clean fuels control the buildup of deposits in your engine’s intake valves and injectors, while reducing emissions. Irving Gift Cards are available in four different designs, and are as good as cash at any Irving affiliate throughout New England. They make a great gift for the regular Irving customer. 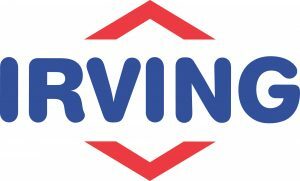 With over 300 participating Irving locations throughout New England, the Irving Rewards card can help you save money all over the Northeast. You’ll receive 10 cents off per gallon on a fill up of up to 20 gallons, after reaching 50 gallons of gasoline purchases. VP Racing Fuels is best known as the World Leader in Race Fuel Technology™, fueling champions around the world in virtually every form of motorsport on land, sea and air since 1975. VP’s fuels have a well-earned reputation for offering more power and unparalleled consistency. VP believes every application deserves a fuel designed to optimize performance, a philosophy that lead to its development of more than 70 blends. Given that, there’s no need to ever leave power on the table. Regardless of your application, chances are VP has a fuel blend to help you take the lead and keep you there. 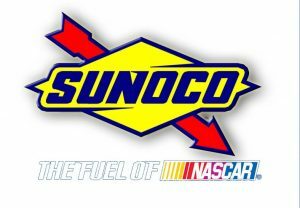 With more than 40 years of success, it’s no wonder VP has been selected as the Official Racing Fuel of the WeatherTech SportsCar Championship, AMA Supercross, World of Outlaws Sprint Cars and Late Models, NMRA, NMCA, Pirelli World Challenge, PDRA, Formula Drift and Rally America, among more than 60 VP-sponsored series and sanctioning bodies.